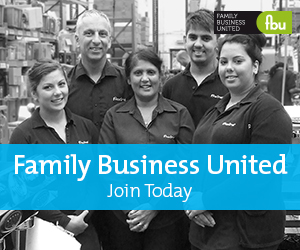 Family businesses and business families are just as likely to have mental health issues as any other business or family. And family enterprises may be more exposed to long-term harm from mental illness when it arises. The issue is far from merely theoretical. Mental illness is one of the most common health conditions worldwide. In the United States, the 2014 Behavioral Health Trends survey by the Substance Abuse and Mental Health Services Administration revealed about one in five adults, or 18 percent, had a mental illness in the past year. In England, the 2014 Adult Psychiatric Morbidity Survey found about one in six, or 17 percent, of adults surveyed met criteria for a common mental disorder. Family enterprises may be more sensitive than others to mental illness for two reasons. First, family firms are more concerned with continuity, longevity and maintaining the enterprise over multiple generations. Mental health issues that damage firm or family can derail those hopes. Mental illness is also more problematic for family businesses when it strikes family members. Because of their positions, potentially damaging behavior by mentally ill employees who are also members of the family is more likely to be excused, denied and covered up. People don’t want to risk offending someone in authority. Effective responses to mental illness in family business begin with accepting the possibility of its appearance and learning to recognize the signs. For instance, depression, the most common mental illness worldwide, may reveal itself through statements about feeling hopeless or worthless, difficulty sleeping, withdrawal, lack of motivation, irritability, weight loss or suicidal thoughts. Signs of alcohol abuse and substance abuse, two more common mental conditions, include excess absenteeism, frequent or inappropriate intoxication, slurred speech and outsized need for money. People suffering from bipolar disorder, another widespread mental health condition, may alternate between severe depression and an extremely elevated mood. Other frequently occurring mental illnesses include Alzheimer’s and other dementias, obsessive compulsive disorder and schizophrenia. When a family business is affected, any can produce poor decision making, inefficiency and lasting damage to reputation and prosperity. In severe cases, mental illness can be fatal. Crafting the right response to mental illness starts by not doing the wrong thing. The most common mistake is to overlook, deny or cover up the sufferer’s condition and the problems it is likely creating. Another error is to rely on disciplinary action, which is generally unsuccessful in the presence of a mental disorder. A better approach often begins with talking to the suspected sufferer about what is wrong. These discussions avoid accusations and show respect, with the intent of getting the person to voluntarily seek professional evaluation and, if necessary, treatment. This sort of conversation can be difficult. Experienced outside advisors, such as physicians or family business consultants, may be able to help. Stigma surrounding mental illness often keeps it from being openly discussed. To make things worse, what causes many of these illnesses and how best to treat them is imperfectly understood even by experts. Some mental illnesses, such as Alzhheimer’s, have no cure and are difficult to even manage long term. When seen and responded to appropriately, however, most mental illnesses that affect family firms can be, if not cured outright, at least controlled. But that can only happen when family businesses recognize the possibility of mental illness and are open to its detection and treatment.